As 2019 begins, we take a stroll down the year 2018 to review some of our best mobile app development articles. Each article is an interesting read providing valuable tips on Mobile app development, be it Android app or iOS app development. Several articles cover different aspects such as implementation of emerging technologies, trends, mobile app retention, location based app development and much more. From the future of ecommerce to rise in enterprise ecosystem, mobile applications are largely focused on embracing trends for success. Here are our top mobile application development articles that will help you in 2019. 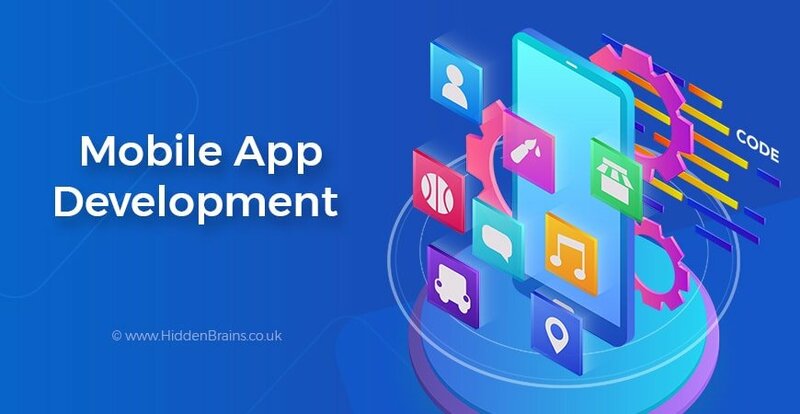 This article provides top Enterprise mobile app development trends and advancements in technology that should be taken into account to stay ahead of your competitors. It is important to leverage emerging technologies such as Internet of Things, Blockchain, Cloud, Machine Learning & Artificial Intelligence, as well as Big Data to stay ahead of competition and experience the difference. Mobile app development is focused towards high performance and usability. It is important to avoid slow development as far as if possible. They key is all about understanding important objectives and asking right questions, analyzing the importance of MVP, setting up automated testing, go for hybrid mobile app development, and Using lo-fi wireframes. In order to achieve fast time to market, it is crucial to select the path to long-term success which is guaranteed by choosing the correct methodologies that create a strong foundation for the app to thrive. Low user retention rate is one of the key issues that determine the success of app. This blog provides valuable tips and insights to improve user engagement and retention by optimization of marketing elements. There are several reasons behind app abandonment. One of the primary reasons is that the attention span of users is reducing in this digital age. When each brand has something interesting to offer, it is essential to focus on factors relating to interactivity, UI or UX. App engagement and user retention form perfect basis for an app’s success. Let’s learn about some useful tips for improving user retention of mobile app. How to Improve Customer Engagement with Location Based App Development? It is the world of providing contextual information to users. Every year the number of users owning smartphones is growing at a rapid pace. Smartphones come with built-in global positioning system (GPS) chip which provides current geographic location of users through mobile devices. Location-based app development provides powerful way of tracking the real-time location of device by collecting information from an array of satellites. Popular app development categories include On Demand Services, Weather Forecasting Apps and Health & Fitness Mobile Apps are transforming the way brands interact with customers both online and offline. The main reason for success of such apps is that it helps businesses deliver benefits to the customer at the right time and the right place. If you want to know how to improve CX and measurement metrics, read this blog. After all, building a loyal user base for your app and reducing abandonment ratio can help improving CX of mobile app to a great extent. Mobile app development for your business requires walking a tightrope. Several factors are responsible for the success of mobile application. The best way to overcome roadblocks of mobile app development is to partner with a trusted mobile app development company. Improving Customer experience is the only way to help business stand out among millions of apps on the App Store. User engagement and retention is majorly responsible for deciding whether the customer would continue till lifelong or your app is simply an afterthought for the user. Set a benchmark for app’s user retention and improve it using quick tips and techniques. We all know whether it is iPhone App development or Android app development, it is an expensive affair and requires heavy monetary investment. However, not all types of mobile apps require mammoth investment. This blog discusses major factors that determine the cost to create an app. The scope, features and functionalities of mobile app, the platform and type of mobile app also plays an important factor in deciding the cost of development. Fast penetrating into the digital era, people are constantly looking for ways to benefit from online channels and different mediums. The concept of earning money from mobile app is gaining traction. People are investing in custom iPhone app development services with an aim to get good monthly returns. Let’s know the secret behind earning real cash from mobile apps. App monetization is freemium apps which include additional, optional and paid features that allure users to upgrade to next level and unlock higher levels. These apps also find popularity in music category, health & fitness, dating and other similar categories. In-App Advertising is similar to conventional model where advertisers pay based on different parameters such as size, position, timing and placement of ad in the app. We hope our collection of blogs will help you in the mobile app development process. In order to transform your app idea into reality, hire mobile app developers.